what you should be using and when. I'm here to help. 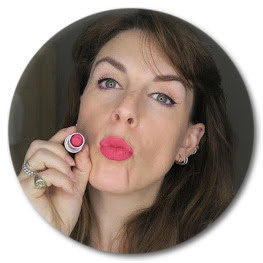 I have a list of ingredients in my What's in Your Products page but will be posting a little bit more in-depth on the blog when I can. First up, Ferulic Acid. Ferulic Acid is a naturally occurring antioxidant found in seeds of fruits, some vegetables, nuts and grains where they help the plant protect itself by reinforcing it's cell walls. In skincare it combats free-radicals which can increase signs of ageing. It is also believed to help encourage skin rejuvenation and help protect against sun damage which is why you will often find it with Vitamin C in serums. Vitamin C oxidises easily and Ferulic acid helps to stabilise it making it work more efficiently, in fact Ferulic acid is considered the most powerful antioxidant and when combined with Vitamins E and C it increases their effectiveness. It's best used directly on the skin so a serum ideally or a moisturiser. It's also great in sun protection and if you suffer from solar lentignes (sun spots) it can help lighten them. At the moment I am testing the Dr Dennis Gross Ferulic + Retinol Overnight Serum and their Ferulic + Retinol Anti-Ageing Moisturiser both of which are sample sizes that I was given. I'm enjoying using them and they fit well into my routine. 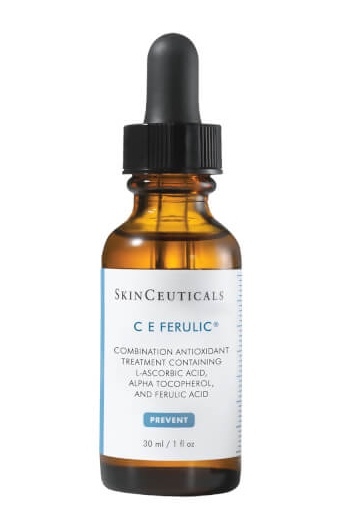 However, I think if I were buying something with Ferulic Acid in it I would probably get it with Vitamin C in a serum to use in the morning as I like to use Vitamin C and it would be great to have a more stabilised, effective version that could also help to protect my skin against UVA/UVB. I like to keep my skincare as simple as possible so a good serum with C and Ferulic in the morning and Retinol at night would be fine for me. 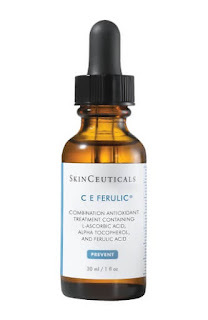 When I've finished using these testers I think I'm going to try one of the following products from Skinceuticals which seem to be one of the few brands to really do Ferulic Acid well. Skinceuticals Serum 10 or Skinceuticals C E Ferulic.